The Wenko Pinerolo modern cosmetic mirror with universal height adjustment brings sophisticated quality design to the bathroom. 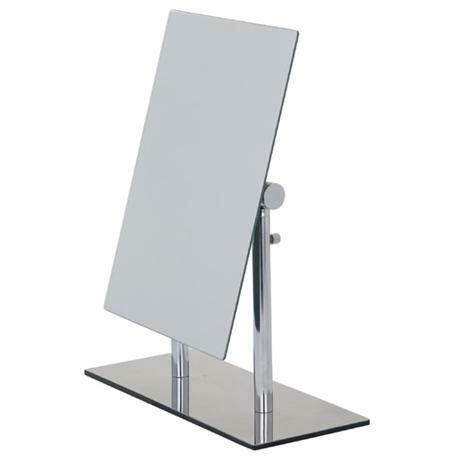 Modern mirror with universal height adjustment. Hi Bertie, the height adjustment is 27-35cm. Thanks! I spent ages looking through web sites till I found this one. I'm glad I did because this good quality well made with a good heavy base and fit perfectly where it was bought for. hassle free ordering and fast delivery would highly recommend. Nice one guys.